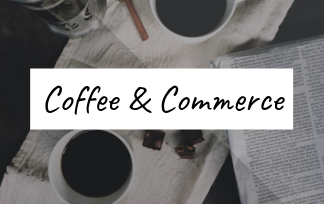 Whether you’re a brand-new member of OBoT or are looking to get more out of your membership, join us for Coffee & Commerce! Connect with our Member Experience Team in a causal setting and ask questions about your membership and the future of the Board of Trade. This event will be held weekly in different areas of the city from 2-4pm. See when we'll be in your neighbourhood! Meet our Member Experience Team! Chantal was a previous employee of the Ottawa Chamber of Commerce. She has been working for the Chamber/ Board of Trade for the past 7 years. Come say hi! Michelle was a previous employee of the West Ottawa Board of Trade. She has been working for the Chamber/ Board of Trade for the past 2 years. Come say hi! Special thanks to our amazing hosts at Collab Space!